Hien Nguyen, assistant professor of surgery and biomedical engineering, walks through a surgical procedure with a group of undergraduate Design Team leaders in an operating room at Johns Hopkins Bayview Medical Center. Edward Ahn and Rajiv Iyer, neurosurgeons at the Johns Hopkins Hospital, have a problem they’d like to solve. To craft a solution, the doctors—like dozens of clinicians before them—have placed their faith in the undergraduate students in the Johns Hopkins Department of Biomedical Engineering’s Design Team courses. Ahn, Iyer, and their colleagues have been experimenting with a new surgical technique for craniosynostosis—a rare condition in which the thin plates of an infant’s skull fuse prematurely, resulting in head malformations and potential problems with brain development. To fix the condition, surgeons open the prematurely closed cranial sutures, giving the brain a chance to grow normally. The doctors want to make this surgery safer, faster, and less invasive. Their new procedure involves a single small incision into the infant’s skull, instead of the usual two incisions. To accomplish that, they have borrowed a tool from dentistry: With technology known as piezoelectricity, they employ ultrasonic waves to cut a small, precise path through the skull with minimal damage to surrounding soft tissues. 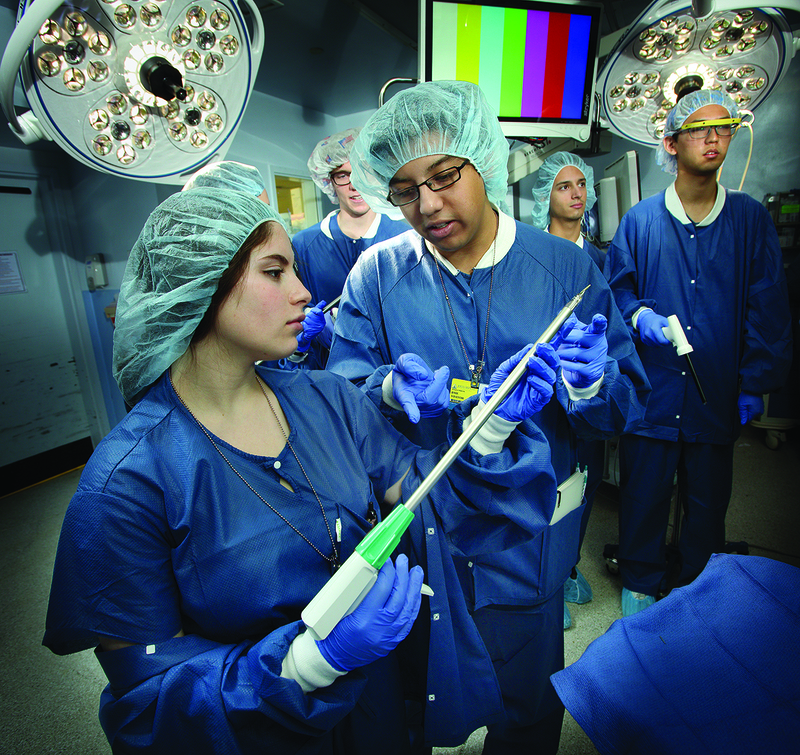 Undergraduates Sabin Karki (left) and Brooke Stephanian experiment with surgical staplers and clip appliers at Johns Hopkins Bayview Medical Center. This brings us to the team’s engineering problem: Dentists’ piezoelectric tools are L-shaped. When used on infants’ heads, they carry a risk of digging into the dura mater, the membrane that surrounds and protects the brain. The clinicians want a tool that is optimized for cutting along the top of a skull, not the side of a jaw. At the beginning of 2017, Ahn and Iyer submitted their challenge to the Department of Biomedical Engineering Design Team instructors, who oversee more than a dozen teams of undergraduate students each year working on biomedical engineering innovations. These teams of approximately eight biomedical engineering majors are tasked with solving health care design, engineering, and workflow problems identified by Johns Hopkins clinicians. 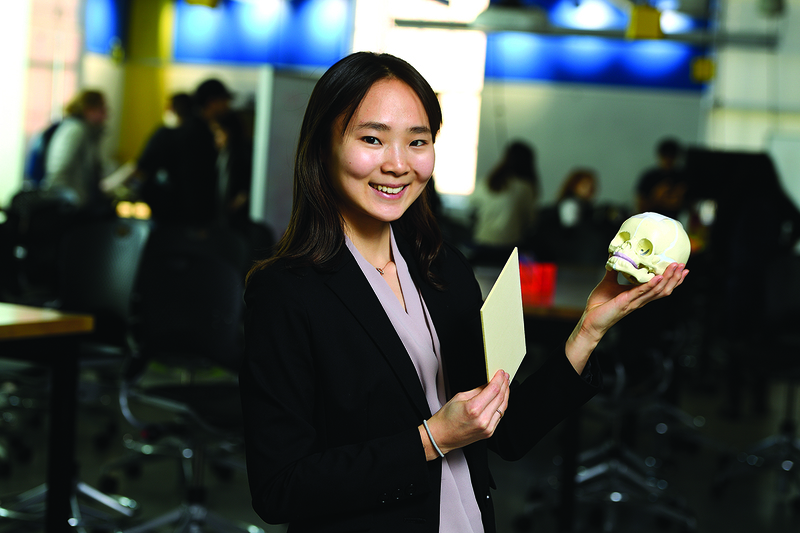 Undergraduates also work closely with advanced design students in the Department of Biomedical Engineering’s Center for Bioengineering Innovation and Design yearlong master’s program. Ahn, Iyer, and Fujita’s project is one of hundreds of clinician/student collaborations that have been forged through the Design Team courses since their inception in 1998. Undergraduate Design Team efforts have resulted in more than a dozen provisional patent applications, licensing agreements, and hundreds of thousands of dollars in external funding. Their products are in research, clinical, and commercial use. What’s more, projects turn up as regular winners in VentureWell’s BMEidea and Debut Challenges, the Lemelson-MIT Student Prize competition, the Collegiate Inventors Competition, and other competitions nationwide. But the program is about much more than patents, grants, and competitions. All Design Team experiences—not just the small number of projects that reach commercial fruition—are powerful learning experiences, says Nicholas Durr, assistant professor of biomedical engineering and the director of the undergraduate Design Team courses. Students gain a real-world sense of how to work through cycles of design and prototyping, how to communicate effectively with clinicians, how to develop business plans and assert intellectual property, and how to collaborate in groups with diverse skills and interests. Durr’s colleague Elizabeth Logsdon, the Department of Biomedical Engineering’s director of undergraduate advising and a lecturer who co-teaches the Design Team courses, notes that the courses have few lectures and relatively little didactic content. 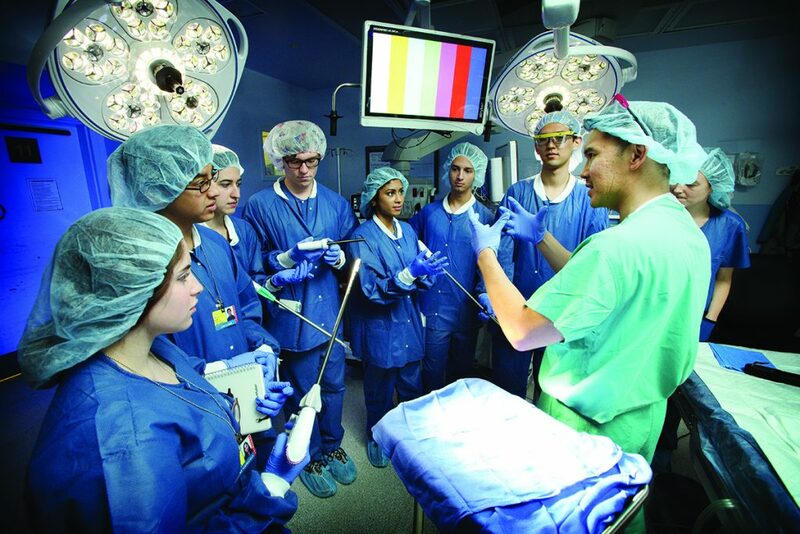 Instead, the student teams mostly work independently in more than 5,000 square feet of design space in the BME Design Studio, which has a 24-hour video connection to a companion space—the Carnegie Center for Surgical Innovation—in the Johns Hopkins Hospital’s Carnegie Building. If a team hits an obstacle and needs help with coding, stress-testing, machine fabrication, or business plan writing, Logsdon and Durr will connect them with a faculty member or clinical mentor who can teach them the relevant skills. But whatever strategies they might use to tackle their clinical problem, each Design Team faces no-nonsense deadlines. Every two weeks, each team undergoes a desk review, in which the course’s faculty members grill them on their progress. And roughly once a month, each team presents its work to its primary clinical sponsor and other clinician mentors. By the end of the spring semester, they’re expected to submit polished business plans and professional-grade reports on their prototyping and testing. On a cold afternoon in February, Fujita’s group is convening in full for the first time after the winter break. While they were away, a long-awaited package arrived: a box of realistic foam skulls designed for surgical training. Now they finally have something to test their piezoelectric instruments on. As they open the box, one of Fujita’s teammates searches online to confirm that these models are, as advertised, similar to the density of actual infant bones. Before they start drilling, Fujita gives a beginning-of-the-semester pep talk. As the spring semester starts, Fujita’s team—like all other Design Teams—has expanded from five students to eight, as three first-year students have joined. “I know I want to focus on making the instruments,” says fourth-year Olivia Musmanno. She intends to do a series of rapid silicone prototypes using the BME Design Studio’s 3-D printers. Once they’ve achieved their design specifications, the team will have metal prototypes cast in the fabrication center. All the while, the students need to be mindful of the team’s annual budget, although many groups secure additional money for their projects via grants, corporate sponsorships, or business plan competitions, which often bring in tens of thousands of dollars. Across the Design Studio this afternoon, groups are having similar conversations. One team is working on new methods to keep peritoneal-dialysis catheters safe from infection. Another is building a device to measure blood flow within the spinal cord in patients with severe injuries. All told, there are 13 teams in this year’s undergraduate cohort but as many as 40 ongoing projects including efforts from previous years (see “Tackling Tacrolimus,” below). As the teams huddle over their projects, they’re visited by Michelle Zwernemann ’08, MS ’13, who serves as staff engineer for the Design Team courses. She joined the faculty in the fall of 2017 after several years of work at a prosthetics firm, and she tends to ask blunt questions. “I want to help these students avoid the pain points that new engineers often face when they start out in industry,” she says. Also making rounds this afternoon is Amir Manbachi, a lecturer who serves as the Design Team courses’ third major faculty member, along with Durr and Logsdon. Manbachi co-invented and patented a spinal surgery device while he was a graduate student at the University of Toronto a decade ago. “As engineers, we may not treat patients ourselves, but we have the opportunity to build devices or solutions that can save thousands of lives,” he says. 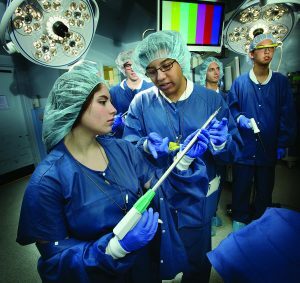 One of the central challenges of the Design Team process, Durr says, is establishing the right kind of rapport between the clinicians and the engineering students. “We encourage teams to treat their clinical adviser as part of the team rather than a source of clinical knowledge,” Durr says. Clinicians occasionally submit project proposals that are too complex or ambitious for undergraduate design teams, Durr adds. 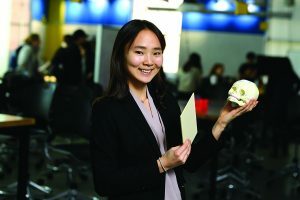 In those cases, the clinicians are encouraged to collaborate with students in the master’s degree program at the Center for Bioengineering Innovation and Design. Students who assume team leader roles, as Fujita did at the beginning of 2017, take an additional course centered on project management, clinical exposure, and interpersonal dynamics. With any luck, infants with craniosynostosis five years from now will reap the benefit of that understanding. Front (left to right): Fernando Vicente, Candice Gard, Jon Hochstein, Jung Min Lee. Back (left to right): John Hickey (chemical assay adviser), Nolan Benner, Douglas Mogul (mentor), Rohith Bhethanabotla, Burton Ye, Gabriel Fernandes. When Design Teams choose clinical problems to work on, they’re usually looking for a problem that fits their particular talents or interests. 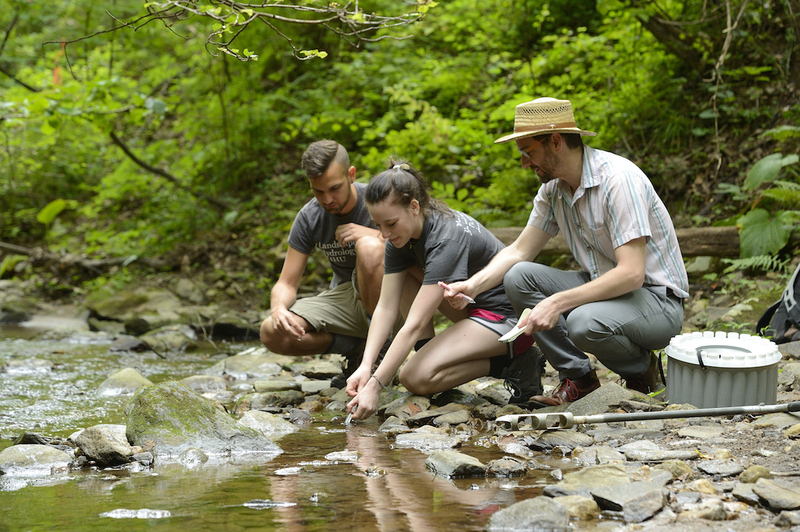 Jon Hochstein ’17 found a project that has a more personal meaning. When Hochstein was 3, he was diagnosed with a severe form of cardiomyopathy that resulted in him having a heart transplant just a few months later. The transplant saved Hochstein’s life. But it also meant that he would forever need to take immunosuppressive drugs to prevent his body from rejecting the donation. His primary immune medication, tacrolimus, has a narrow therapeutic range. Too much tacrolimus can damage the kidneys and cause tremors and headaches. Not enough, and a patient’s immune cells will start to attack their donor organs. Patients’ tacrolimus levels need to be frequently monitored and their doses carefully calibrated. 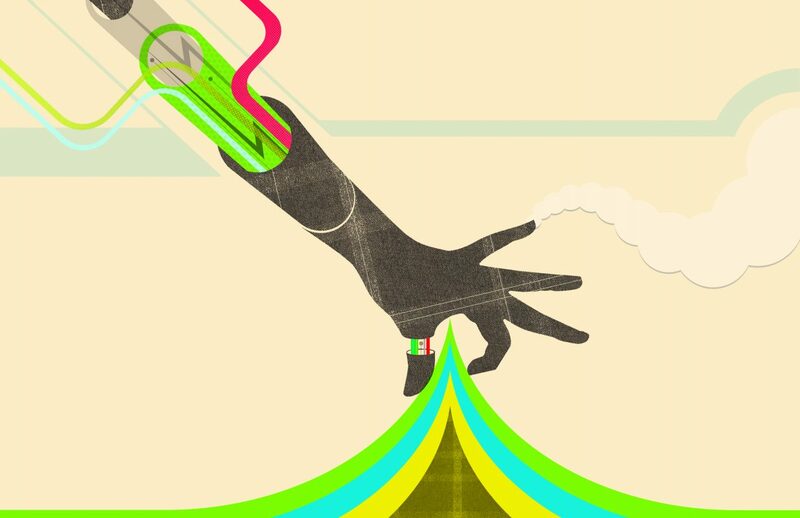 What Mogul and the Design Team aim create is a device that would allow patients at home to use a single drop of blood to measure their tacrolimus levels. This would allow the drug level to be monitored more frequently than usually happens, and enable patients and their doctors to respond quickly to any risk of organ rejection. The Design Team made good headway during the 2016–17 academic year, and after Hochstein graduated last spring, he turned the reins over to the team’s younger students, pictured above. While the team does not yet have a fully functional prototype, team members continue to press forward. Left to right: Anshul Subramanya, Eric Chiang, Allison Rosen, and Parth Vora. Some Design Team projects are so successful that they remain active even after the formal coursework ends. One such project, which has earned over $80,000 in funding through grants and business plan competitions, aims to improve a common form of eye surgery. 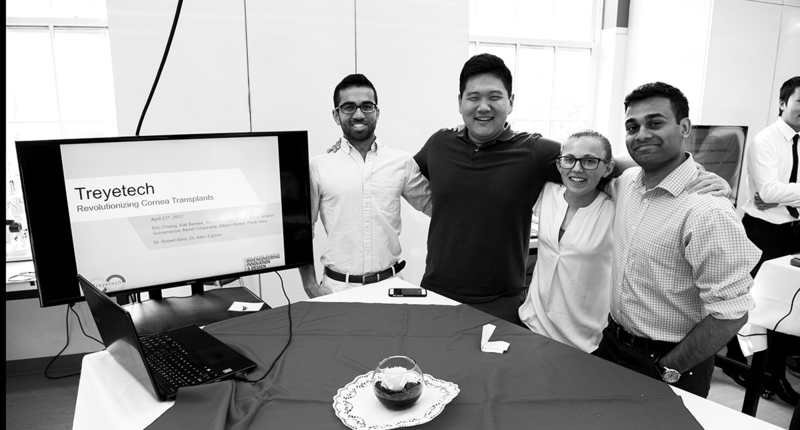 The team, led by fourth-year Eric Chiang, completed the Design Team coursework in 2016–17 but has continued to work on the project as an extracurricular activity because the students are passionate about the clinical project they’re trying to solve. Chiang’s project involves a relatively new method for performing corneal transplants, known as DMEK, which uses a much thinner layer of tissue than traditional surgery: just 10 to 15 microns thick. This thin graft allows most patients to regain up to 20/20 vision (less likely with traditional corneal transplants) and offers a much shorter recovery time. But there’s a problem: The thin DMEK grafts are maddeningly difficult to manipulate without damaging. 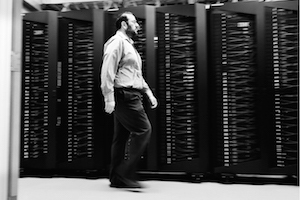 “The graft is so thin that it tends to roll up on itself, like wrapping paper,” says Chiang. As a result, DMEK hasn’t been widely adopted in the United States. Chiang’s team, known as Treyetech, has designed a solution that should allow eye banks to fold and deliver the corneal tissue to surgeons without damaging the graft. When this trifolded graft is placed in the patient’s eye, it will unfold on its own. If the product works as designed, the DMEK procedure should be much less technically tricky for surgeons to perform. With a prototype now in hand, their next step is to test the safety and efficacy of their device. To that end, they’ve established a partnership with an eye bank in Colorado.